Kerstin Rodgers writes the blog Ms Marmite Lover and is the author of V is for Vegan. When one of America’s top vegan cook book authors, Terry Hope Romero, came over to do a supper club with me, she was very impressed by the selection of vegan products sold in the UK, particularly the range of vegan cheeses. The United States takes veganism very seriously and every city has an exciting array of animal-free foods. 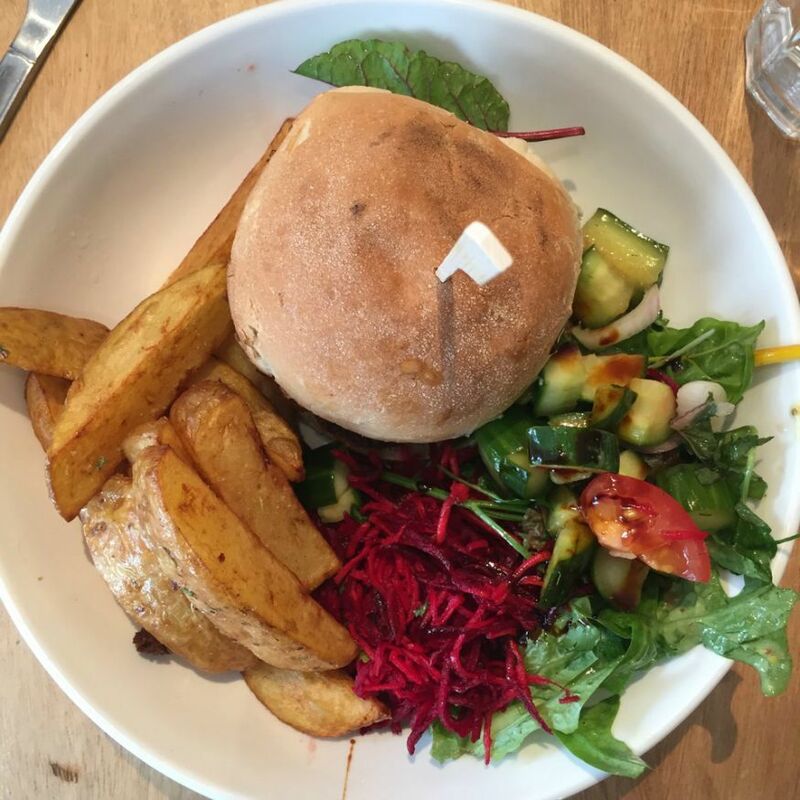 London still has a way to go, but here is my selection of vegan food shops in the capital. I love this punky food from Rudy Penando, one of the founder members of the vegan movement in the UK. They sell vegan junk snacks, cakes, sandwiches, groceries, beauty products, drinks, clothes. They also stock imported vegan products like Vegg, the egg replacement powder that uses black salt to get the sulphuric odour. The shop sprung up a few years ago and great reports continue to come in. They sell a good range of 100% organic and vegan products, with more than enough to stock up your pantry of a visit. There’s a small selection of groceries alongside the regular food offerings at Black Cat Cafe. Photo: Kerstin Rodgers. This vegan cafe also has a small shopping section where you can buy vegan snacks, cheeses, sausages, tofu and chocolate. They even sell vegan cookbooks, so you can find some inspiration for what to do with your chosen ingredients. Choose Brixton’s vegan bakers, for all your cruelty-free cakey needs, including layer cakes, giant cookies and muffins. And cupcakes, of course. She has a great cookbook too. This health food store has outlets all over London. It concentrates on healthy supplements, guilt-free beauty products, protein powders and the like. Vegan food-wise there’s all sorts to choose from, including chocolate bars, coconut oil, peanut butter, soya drinks, sweet treats, snacks, rices, pasta, plus more fruit and nut than you can shake a stick at. While not fully vegan, Whole Foods Market has a great selection and many imported American vegan foods that you cannot find anywhere else. In the States they call this shop ‘whole paycheck’ because it’s not cheap. I do love shopping there though. I always feel that I’m channeling Gwyneth Paltrow — WWGB? — What would Gwyneth buy? Whole Foods Market, locations include Clapham, Camden, Kensington, Stoke Newington, Piccadilly Circus, Fulham and Richmond. 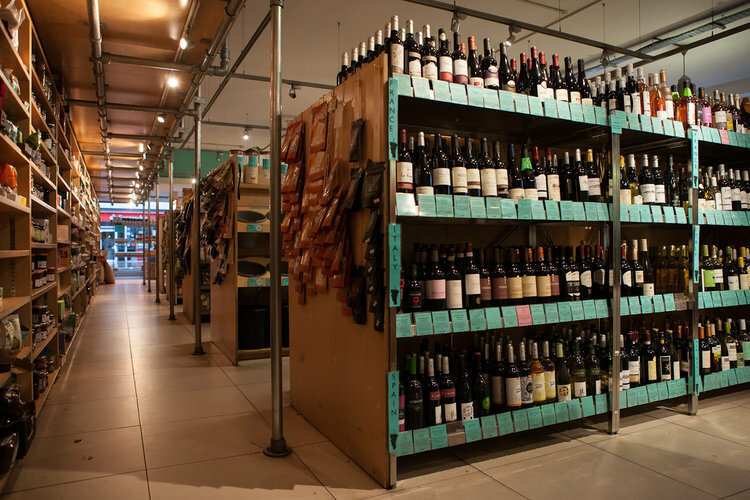 On the lookout for some vegan wine? Your luck’s in. I often buy vegan, natural and organic wine here, which can be difficult to find. It has an excellent range of other vegan products, such as cheeses, but it does also sell dairy item so make sure to check what you’re buying. I don’t know about the rest of the Spar supermarket branches, but this east London Spar is not your stereotypical corner shop. It feels more like a trendy, independent grocery store, and vegans tell me that this shop is stocking many vegan brands such as Laura’s Idea, locally-made vegan cakes and vegan cheese. Not your usual Spar. Photo: Eat 17. These businesses have woken up to the fact that many customers want free-from products (gluten-free, dairy-free, wheat-free, nut-free) and are starting to expand their range of vegan foods. Vegan blogger The Vegan Womble has helpfully put together a vegan product list for the likes of Tesco, Waitrose, M&S, Aldi, Sainsbury’s, Co-op and more. Not all are fully up to date but they’re a great starting point. Planet Organic, various locations: over 3,000 items of vegan groceries and beauty products on offer at this health-centric supermarket chain. Well Being Health Foods, Sydenham: Small but mighty independent with a focus on health supplements, household products, cosmetics and food. Try the vegan samosas, says reader Aidan. Ethos Restaurant, Fitzrovia: While technically not a shop, Ethos Restaurant is still worth a mention as their self-serve, buffet-style food can be taken to go (you pay by the weight). Vegetarian and vegan. 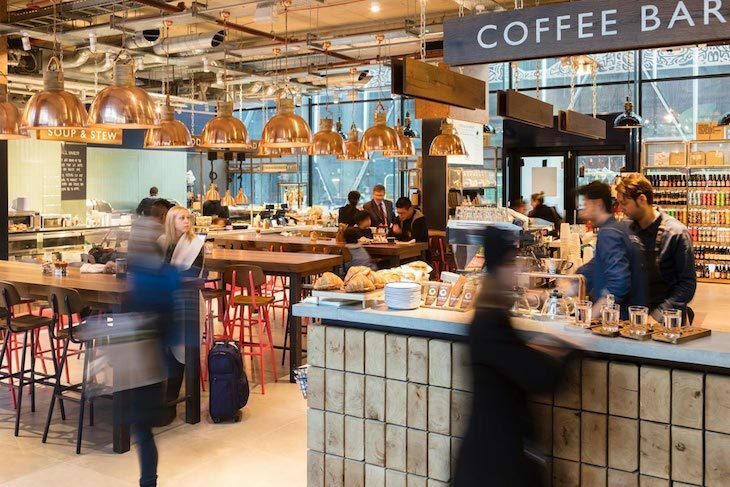 Sourced Market, various locations: This cafe-style eatery chain also stocks Laura’s Idea vegan meal pots, in their St Pancras, Victoria and Marylebone venues. Fareshares, Elephant and Castle: By their own admission, Fareshares is not a shop, but a community project that sells good, organic, often vegan food for fair prices. Entirely run by volunteers. GreenBay Supermarket, West Brompton: 100% vegan supermarket, stocking… almost everything you’d expect from a supermarket. 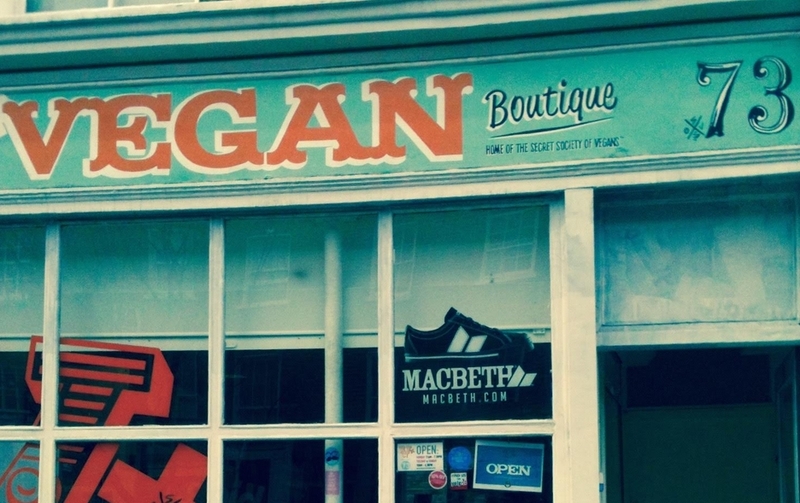 Do you know of any other vegan shops in London? Let us know below in the comments.